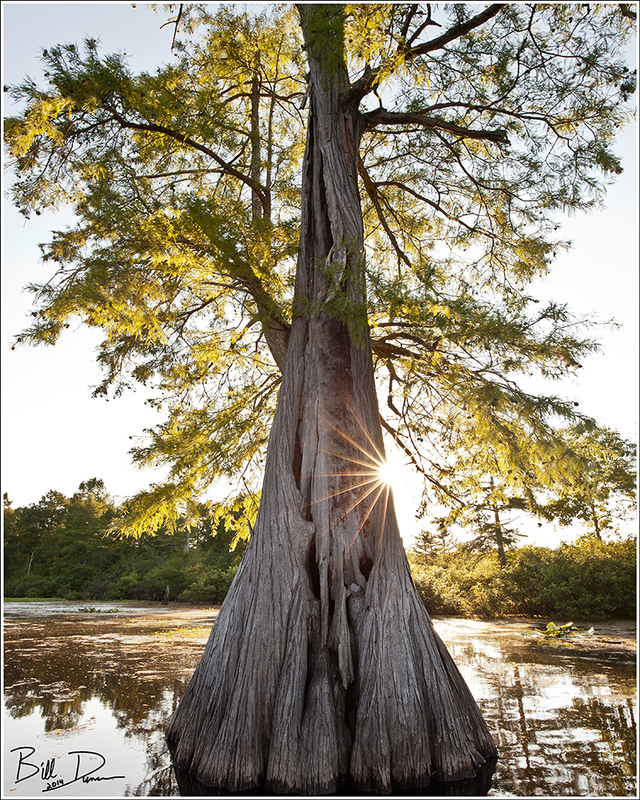 OZB’s Favorite Images from 2014! Hello again. Although I promised myself I would get this post out on time this year, here we are on Valentine’s Day. Of course, I still have not processed everything I intend to from 2014, but I think I’ve finished the major images by now. Like last year, this is not necessarily my “best” images of the year, but a list comprised of images that captured something special to me, while being at least a competent photograph. Once again, I was nearly frozen by the list of images to choose from. I had one fewer landscape and one more wildlife image this year compared to last, for whatever that is worth. Follow the links to the posts that each image was featured in. Although it lacked a happy ending (see original post), Steve and I were absolutely thrilled in getting an opportunity to view and photograph a sought after nesting species. 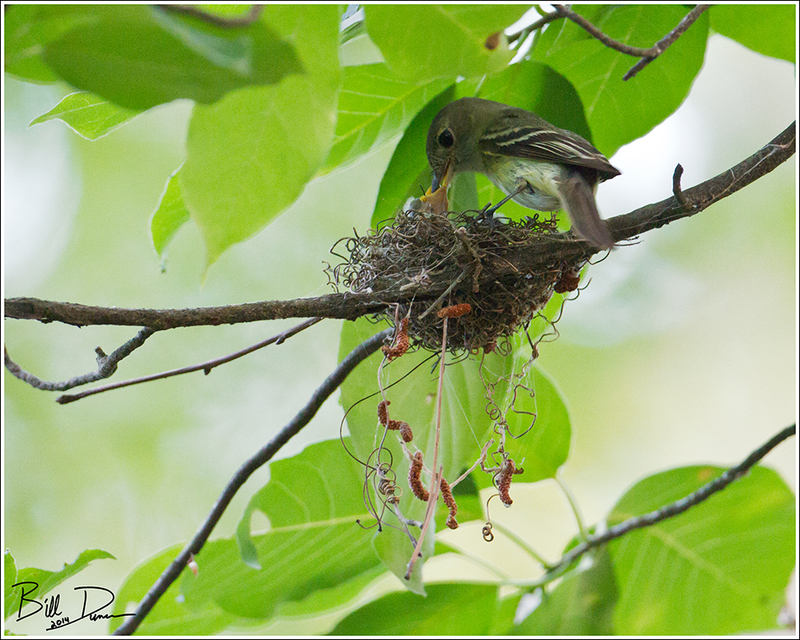 The nest location was poorly lit, being well concealed in the foliage at Hawn S.P. However, with a tripod and shutter release cable, it is something to see how slow you can take the shutter speed in these situations. 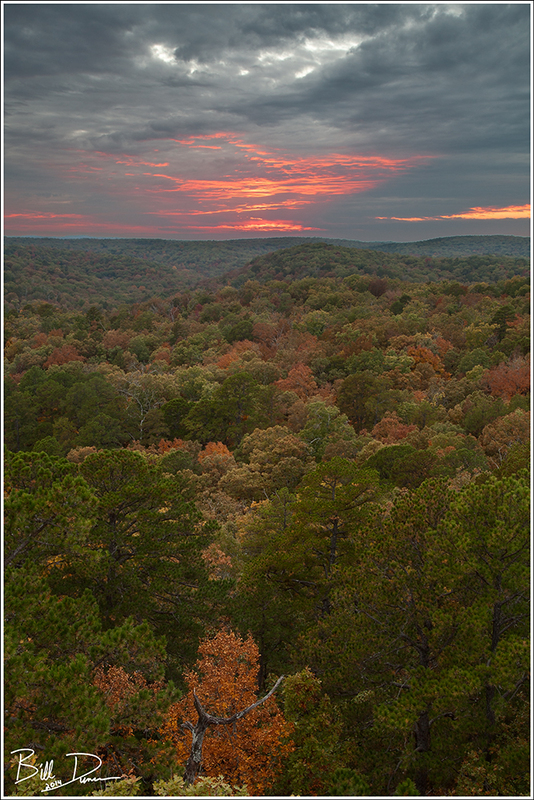 This one was from our last stay in the cabins at Big Spring S.P. for a number of years (due to closing during renovation work). It turned out to be a pretty interesting sunset, with just a couple minutes of fire. From our vernal Big Spring trip. 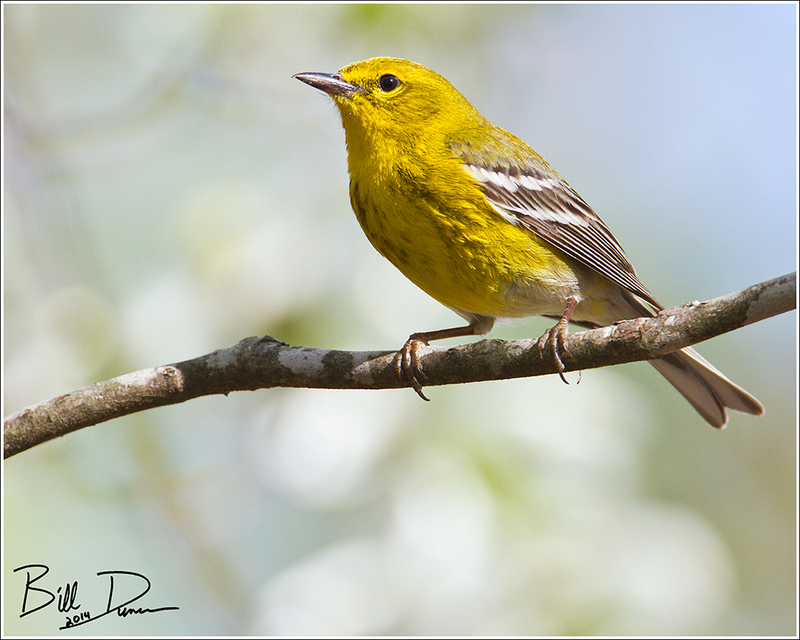 I was quite happy with this image, although I was hoping the white dogwood blossoms behind the bird would be a little more distinct. Oh well, always room for improvement. From our literally unforgettable day in the canoe in the waters of Mingo. This image was taken later in the day and showcases what a sun-star pattern from a nine-bladed aperture diaphragm can look like. Kudos to Canon for putting this feature in all of their new f4 zoom “L” lenses in the past several years. I had to place at least one image from my time in Brazil from this year. 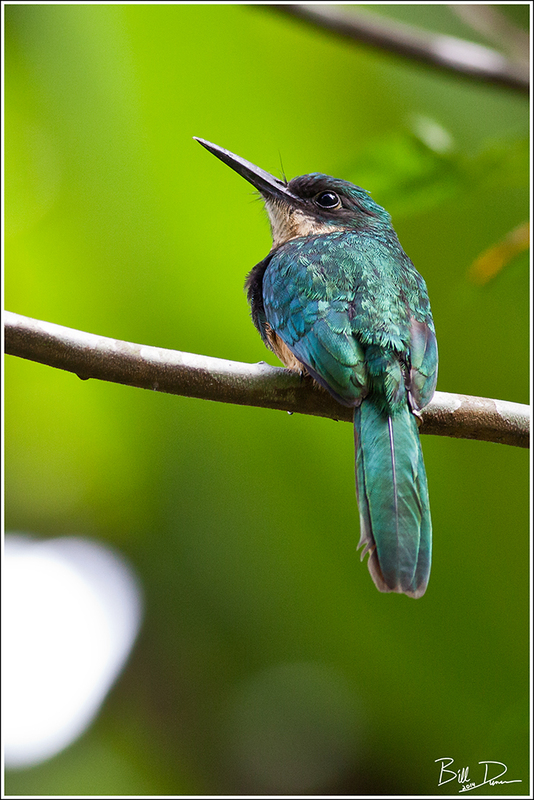 I was able to make images of quite a few species, but this patient Jacamar might be the most memorable. We came across this guy in Serra do Mar State Park in Brazil’s Atlantic Rain-forest while on a birding/nature hike. It sat while we got great views and some photographs. Taken on Sarah and My trip out west this past September. This image was taken inside the National Elk Refuge. 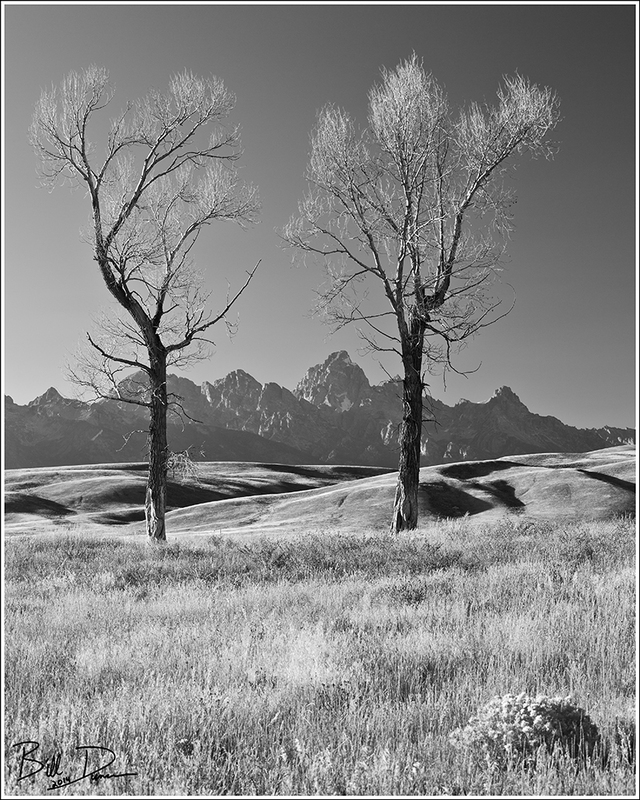 In the waning light, Sarah and I came across these two cottonwood with nicely shadowed foothills lying before the Tetons. 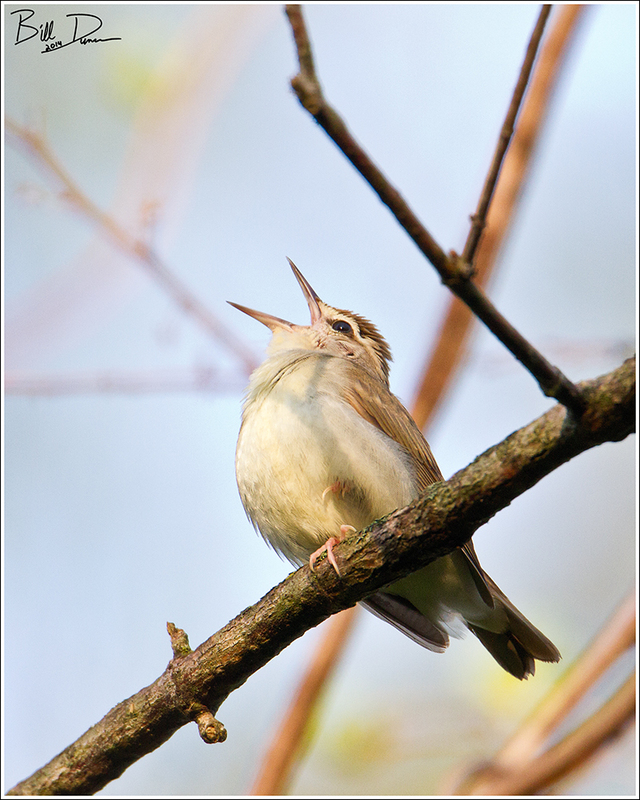 It’s a usable photograph of one of the rarest nesting birds in Missouri. What else is there to say? What a memory. My only regret is always forgetting that my dSLR cameras are capable of taking great video. Video of this guys singing would have been the icing on the cake. 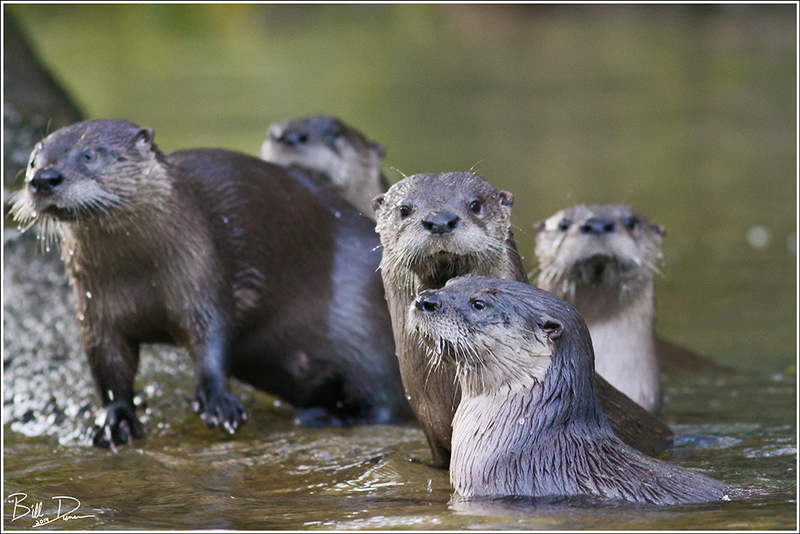 Steve and I had two great experiences with River Otters in 2014. This one was taken on the Eleven Point this autumn and shows mom and all four of the kids in one tight shot. I could have picked a dozen from the weeks spent at the nest to put into my top ten. 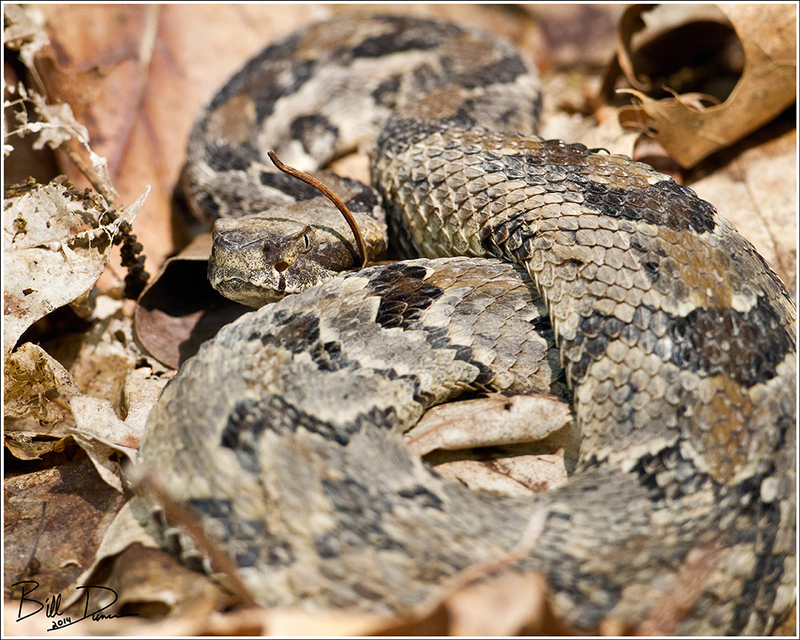 I’m not sure why I chose this one, other than it is among my favorites of hundreds of keepers from the nest. 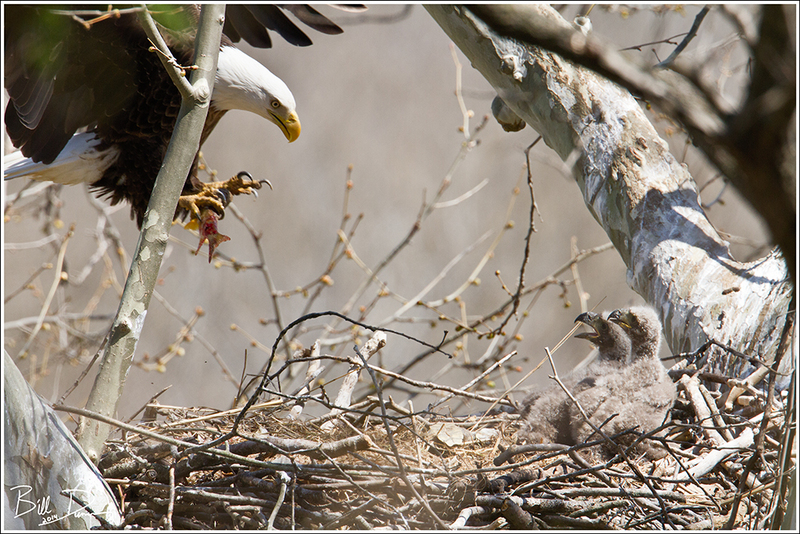 Although mom never stayed to feed the young while we were watching, she did often bring prey to the nest as is seen in this image. Well, that summarizes a good bit of what I was fortunate enough to capture in 2014. Thanks so much to Sarah and Steve and everyone who was part of these experiences. I can’t wait to see what’s in store for 2015! Memories of a lifetime that, if not for your skill and artistry as a photographer, would already have begun to fade a bit in the rush of lesser pursuits. Thank you so much for taking us, and me in particular, along for the journey, Bill. Truly grateful.